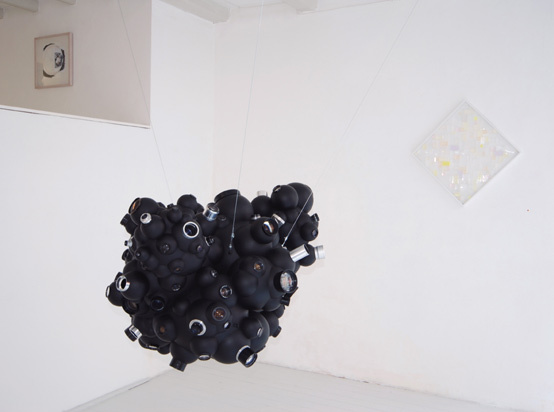 Terminus, 2008, lenses, silicones and enamel on acrylic spheres, steelwire, 70 x 110 x 83 cm and other works. Open on Thursday - Saturday 11 - 18 and October 5th: 14 - 18. Please read also the texts on this artist in the links above.